Mrs. Burbank is responsible for leading all aspects of campus. She supervises facilities, parent organizations, teacher hiring and evaluation, budgets, and the website. Mrs. Burbank graduated from Golden High School in Golden, Colorado, a suburb of Denver, and then earned her undergraduate degree with a double major in English and Education from University of Denver. She always knew she wanted to be a teacher and so moved to California to work immediately on her master’s degree and a teaching credential at Stanford University. Mrs. Burbank began her teaching career in 1984 at Newark Junior High in the East Bay before moving to Palo Alto to teach at Gunn High School in 1989. At Gunn, she taught English and Journalism as well as being the director of student activities and cheer leading coach. In 1999, she returned to Stanford to earn a second master’s degree in public policy analysis and an administrative credential. 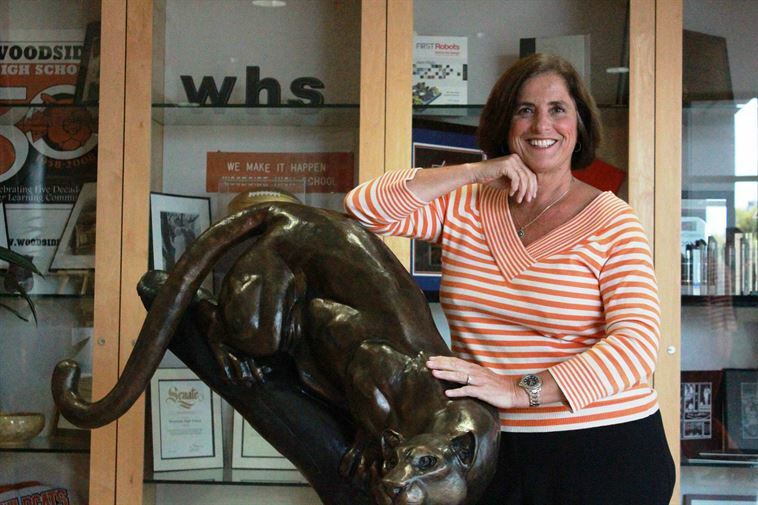 Diane’s first position in administration was at Cupertino High School. Since that first administrative position, Diane has gone on to serve as the principal of Aptos High School in Santa Cruz County for five years (2003-08) and as the principal of Prospect High School in Santa Clara County for four years 2008-2012). Currently she is beginning her third principalship at Woodside High School in San Mateo County. She is also participating in the Stanford Principal Fellows Program. 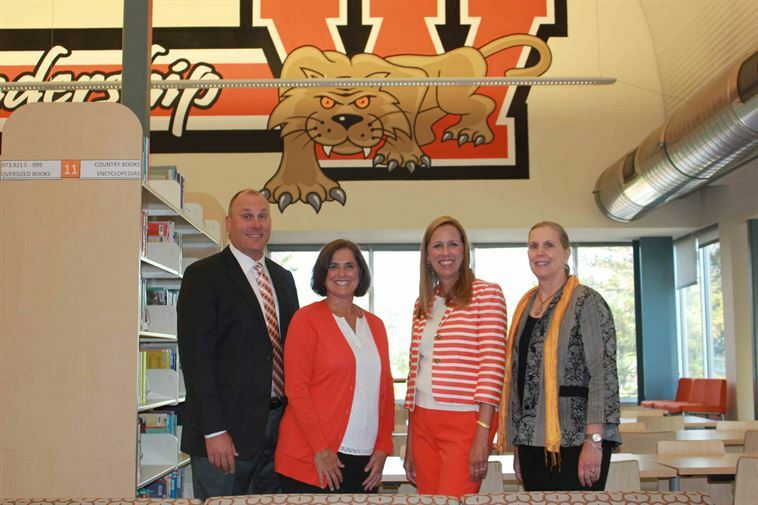 The Instructional Vice Principal (IVP) oversees the instructional programs of Woodside High School. She develops the Master Schedule, facilitates the hiring of teachers and instructional associates, and works with the Guidance Department in regards to class selection, scheduling, and graduation requirements. The IVP also leads the department chairs and facilitates Department Chair meetings. 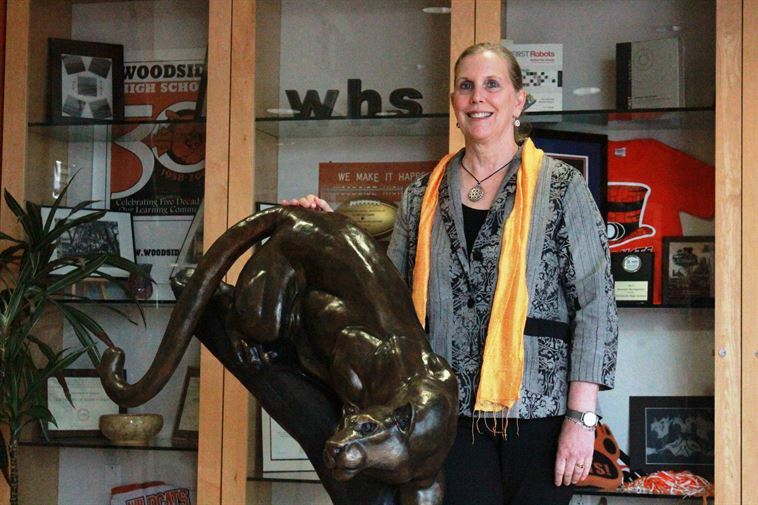 Diane Mazzei has been at Woodside High School for over fifteen years. She has taught in the Science Department and has served the school as Student Activities Director. As a teacher, she also served the school as the Data Team Coordinator and the Site Plan Coordinator. Chuck Velschow works with students last names A-L; he oversees and enforces disciplinary consequences for all students on his caseload. He works in collaboration with campus security to ensure the safety of all students. Mr. Velschow also supervises: athletics, attendance office, food services, emergency procedures and the health office. Mr. Chuck Velschow began his full time teaching career at South San Francisco High School in the fall of 1995, and came to Woodside High School in 2001. A social studies teacher, he taught in the Business Technology Academy until 2014, where he had brief spells as Program Coordinator and Mentor Coordinator. 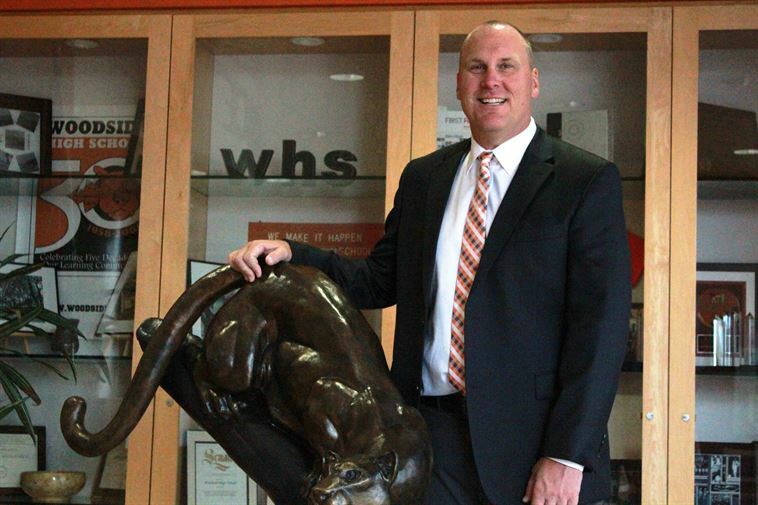 In 2014-15 he earned his administrative credential and master's in Educational Leadership from CSU East Bay, coinciding with taking on the role of Athletic Director, AP US History and Leadership teacher at Woodside. Mr. Velschow also served on the Belmont-Redwood Shores School Board from 2011 to 2017 and coached football for 12 years. Ms. Porter has been at Woodside High School since 1988. She taught economics, world studies and psychology for twenty-five years, serving as the social studies department chair from 1998-2014. 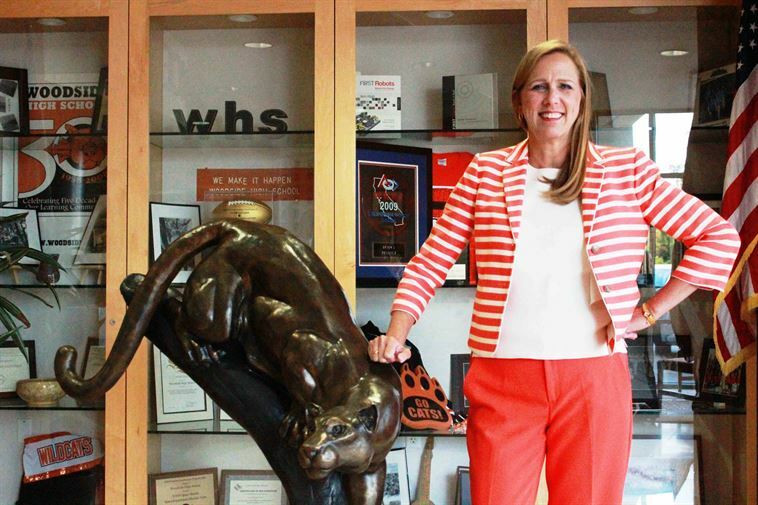 She completed a four-year stint as Athletic Director prior to becoming an AVP, and coordinated the Shared Decision Making Council and summer school for a number of years. Wendy received an undergraduate degree in economics and a master’s degree in education from Stanford University. The Span of Control provides an overview of each administrator's duties and responsibilities.